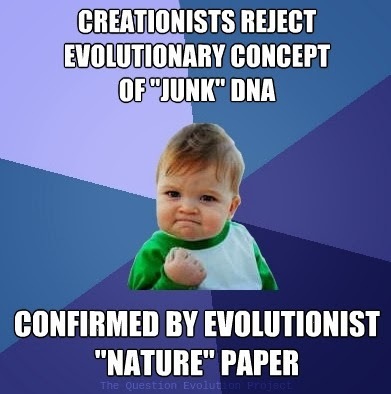 Creationists and proponents of Intelligent Design have been saying for years that the concept of "junk" DNA belongs in the dustbin. Ironically, people like Eugenie Scott, Bill Nye, Richard Dawkins and others want to believe that the biblical worldview is false, and yet, an evolutionary worldview based on chance, mutations, random processes and so forth make science impossible! To depend on the uniformity of nature, they have to stand on the biblical creation worldview because their own will not support them! Here is an episode of "Real Science Friday", where Bob Enyard and Fred Williams discuss ENCODE and more.